As with real life objects, lights in the Iray Render Engine are by default not invisible. They’re like a lamp in a film studio: if it wasn’t there, it wouldn’t emit light. But now that it’s there, it can sometimes get in the way, even though we want it to emit light. Turns out there’s an easy way to make those physical objects invisible, so that we’re able to film/shoot/render/see right through them. Turning them invisible isn’t going to work, because once they’re gone, they won’t emit light anymore. 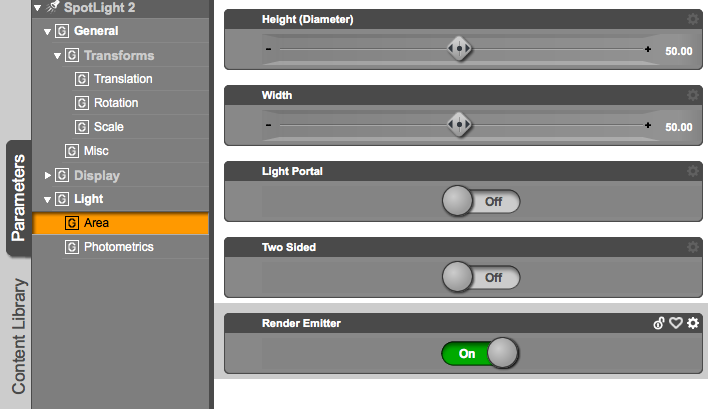 So head over to Light – Render Emitter and switch it off. On means your light will be rendered as visible object, while off means it will still emit light, but the actual light object is no longer rendered. I’m not sure which wireframe you mean – can you link to a screengrab or a render?